Get written confirmation of your moving date, costs, etc. Go through all the rooms in your home and sort through what will move with you and what should be left behind. Organize a garage sale or donate unwanted clothing, furniture, or other household goods. Buy only the foods you will need up until moving day. Clear out your cupboards and pack or dispose of perishable items you will not need prior to moving day. Notify your employer and arrange a day off from work so that you can supervise the move. Be sure to notify the important people in your life about your move and find ways to keep in touch. If you have children, begin to prepare them for the transition and give them time to say goodbye. Separate items such as jewelry, sentimental items, and important files for safekeeping. You may want to consider personally transporting these items to your new home. Fill out a change of address form at your local post office or do it online at usps.gov. Be sure to go over the moving company’s list of items that may not be allowed in your shipment. Start to pack anything you don’t use often. During your packing, note items of special value that may require additional insurance. Label and number each box with its contents and the room it is destined for. Pack and label any essential items you may need right away. This will help you keep an inventory of your belongings. If you plan on driving to your new home, be sure to get your car tuned and inspected. If you are flying, make sure to book your plane tickets. If necessary, book any hotels or stops you will need to make along the way. Clean any rooms in your home that have been emptied, such as attics, basements, and closets. Double check to make sure you did not leave anything behind. Make arrangements to clean your new home. Arrange any services for your new home that may be easier to do prior to move-in day. Stock up on prescriptions you may need during the next couple of weeks. You want to finish your general packing a few days prior to your move. It’s best to pack a suitcase for everyone in the family with essentials, valuables, important records, and enough clothes for a few days. 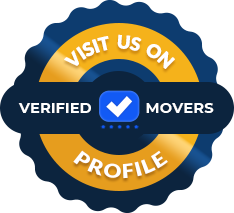 Make sure you have the correct funds available to pay to the movers. Get cash to have on hand if you wish to tip the movers. If your refrigerator is being transported, make sure to empty, clean, and defrost it at least 24 hours prior to your move date. Make it a point to be on hand when the movers arrive. See that all of your items have been loaded and remain close by until loading is complete. Do not sign the inventory list, until a final walk through is done. Read the Bill of Lading carefully and sign if everything is correct. Do the same with the inventory list. Make sure to obtain copies of all paperwork!